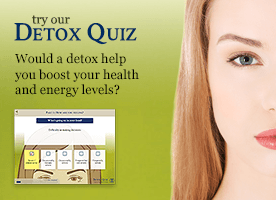 How would it feel to be full of energy instead of having to think about your health every day? What if you could find better health through changing the foods you eat? What if you discovered truths about foods that made you want to change the way you eat? Today, chronic diseases of every kind – diabetes, obesity, cardiovascular disease, degenerative, digestive and autoimmune disorders are epidemic. Yet these conditions are largely diet and lifestyle driven and are preventable. Changing what you eat can be your quickest win. If you’re confused and no longer know what to eat or where to shop, a new book, Once Upon a Cook – Food Wisdom, Better Living is a call to action and a call to care where your food comes from and become a more conscious and much healthier consumer. According to author Izabella Natrins (an occasional contributor to this site) it’s not about fad diets but about eating well. It’s aims is to highlight traditional foods kept generations of our ancestors free from the chronic diseases which plague us today. Inside you will find a celebration of the deep nutrition of meats, eggs, butter, cheese and milk from grass-fed animals; wild-caught seafood; bone and mineral broths. But alongside this is also emphasises organic fruit and vegetables, cultured and fermented foods; and herbs and spices. 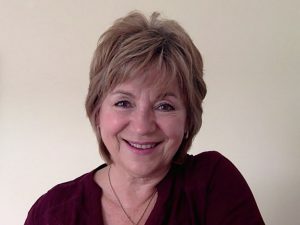 Izabella is a nutrition and lifestyle expert with over 30 years’ experience. A former research psychologist, she is a qualified nutrition and health coach, and a Ballymaloe-trained, nutritional chef and health educator. The book, which is part recipe collection, part nutritional advice, part expose of the problems of industrial and faddy food diets, and part re-calibration of our concepts of healthy food provides plenty to chew on. It’s is also a deeply personal statement: the way of eating she proposes here helped her to reverse a progressive autoimmune disorder. As a keen home bread baker I really appreciated the recipes for daily loaves made with traditional sourdough starters. But there are also practical recipes for broths and stocks, fermented veggies, yoghurt and kefir, wise ways with herbs, and a range of satisfying mains. 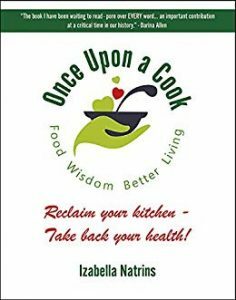 Unlike most books on cooking an nutrition Once Upon a Cook is also fully referenced, encouraging readers to explore more on their own. Food – how we grow it and ho we eat it – is certainly becoming a more difficult subject. But it doesn’t have to be. Most of us have a kind of common sense of what constitutes a food fad versus what constitutes food we can not only live on but thrive on. If you a are looking for the latter this could be the book for you. Once Upon a Cook – Food Wisdom, Better Living is published by Better Living Press can be ordered here.